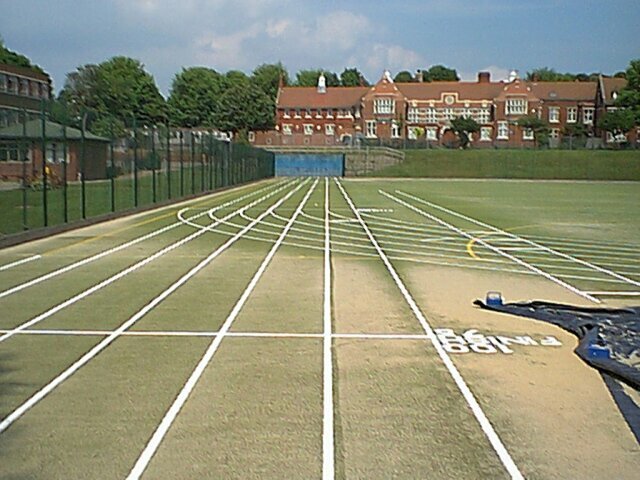 This is a 200m track with a 100m straight and the lines are painted onto a sand-filled astroturf pitch. The lanes are 1.00m wide. The pitch itself was built by Charles Lawrence in 1998 and the track originally marked out in 1999 by Athletic Markings Limited. It was remarked by the same company on 29th May 2003. The school is the junior one of Brighton & Hove High School GDST, The Vicarage, Montpelier Road, BRIGHTON, BN1 3AT which is about 5 minutes away. The school has its own website.